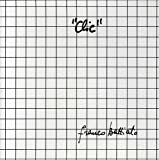 In 1975 Battiato came back with a vengence after the culmination of his ambient electronic/avant phase with the album 'Clic'. With this album M.elle Le Gladiator he moves squarely into the avant phase of his career. This album is the last of the 70's with him as creative force and musician. In later albums he is the composer while other musicans bring his visions to life. This begins to back off of the electronic nature of his last couple of albums. Hs VCS 3 synthesizer is on the album. Though it is not the star of the album. 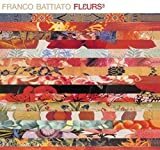 On this album Battiato breaks out the church album. Not many albums are defined as a whole by the church organ. This is one of them. 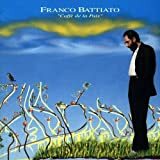 The opening track, Goutez Et Comparez, announces Battiatos intentions loud and clear with a sound collage of, crowd noises, various everyday noises, choral sections, spoken verses by Battiato, random conversations, operatic singing, and seeming dissonant instrumental bits. I find it rather interesting... if but to try to figure out just what he was meaning to accomplish with the piece. 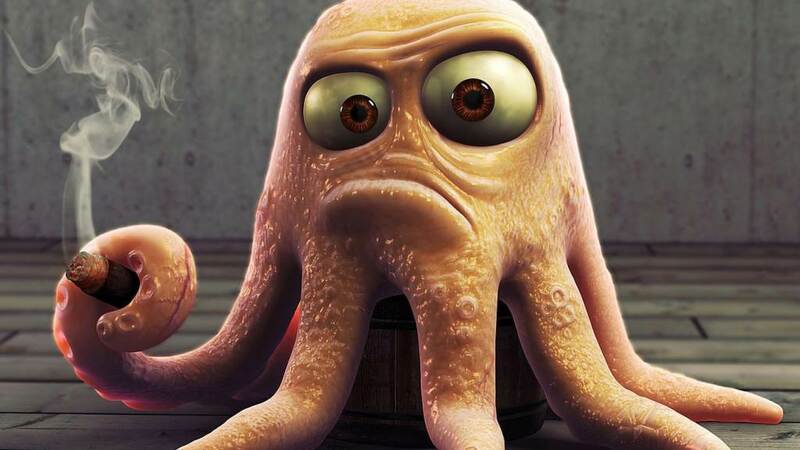 So in a funny way it really holds my attention. I enjoy listening to it. 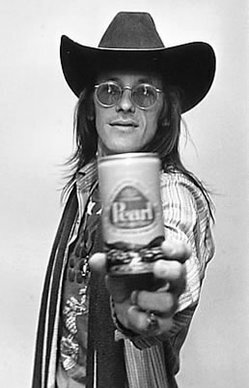 Then again with this phase of of his career, the ambient nature of his nature can not be overstated. This is perfect music to just sit back and absorb, to experience rather than satisfy the instant gratification that most listeners.. and people seem to crave. 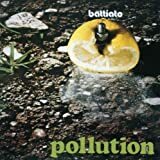 the sound collage continues on for a large portion of the track but fades out to a wonderful VCS 3 section by Battiato that leads to a church organ section of all things thatbrings the song to conclusion. The church organ and synth work together on the next track, the shortest of the album, Canto Fermo. Anyone who loves to hear the church organ (Jacula anyone?) will appreciate Battiato's use of it here. A wonderful track. The album closes with the 10+ Orient Effects. Dominated again by the church organ with the synths in the background. The major theme in this piece in a held organ chord that rises in volume over the course of several minutes, the synths alternating chords in the background, then which it reaches in crescendo.. it drops in volume down to a point of silence. Interesting stuff.. especially if you just love to hear a church organ at full throttle. Probably my favorite of his avant works of the middle to late 70's. In fact I enjoy and listen to this album more than Fetus and Pollution. 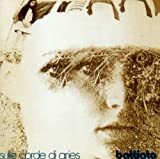 Only behind Clic and Sulle Corde di Aries as my favorite 70's Battiato albums. Shame no one has bother to review it... if they've heard it that is hahhaha. Oh well. For me 4 stars.. I really like the album.. but again be forewarned.. it is not exactly an easy album to listen to.... just an artist and his vision coming through the instruments. There are no drums, bass, and guitars. For the site .. 2 stars... only for fans of Battiato or albums with the church organ as the featured instrument. The overall result is very far from any kind of rock-music and the song-writing on this album is, to say the least, puzzling... Only for completionists! A minimalist patchwork of various recordings. Nothing more than this. For Italian speaking listeners it can have a bit of interest as each piece of recording contains something almost recognizable and all together can acquire a sense. Battiato seems to have a particular taste for sudden interruptions, screams and old-fashioned radio transmissions. I think this reflects the influence of John Cage, but also Ron Geesin and some French non Zeuhl experimentalists, mainly coming from the art of dance and ballet than from music. The first and title track is about 14 minutes of this, with some electronic noise added here and there. We can sometimes here Franco's voice, but for the rest it's just a patchwork mainly taken from the Italian radio and TV, but also satiric: around minute 7 a girl speaks about a celebration of the Alpine company of the Italian Army (she's an actress, not one recorded on the air) and the music behind is "The International", the socialist anthem, followed by a recording of Marinetti, the founder of the literary movement called "Futurism" who supported in some ways the coming of fascism in the 20s of last Century. Finally, after 10 minutes of this stuff we have a bit of krautrock, coming from previous studio sessions of the same Battiato, then a church organ plays a chord on which Battiato sings something that I don't understand. It's an interesting experiment, but be prepared. "Canto Fermo" starts spacey, with an organ making noises. A kind of music close to the early Tangerine Dream of the pink period, but more unstructured with some classical ambience emerging here and there. Even being an instrumental piece, it has the aspect of a patchwork because of the sudden very short silences between a part and the following. Not bad if you like this genre. "Orient Effects" starts where Canto Fermo ends. It's possibltthat they have been originally conceived as a single track. So what I have written about Canto Fermo is valid also for it. Rating it is quite hard. I think it can have three stars but with a serious warning. What you'll find here is minimalistic music, very avantgarde, so if you are looking for RPI forget it. Pushing further into the more fractured, avant-garde and academic styles of 1974's Clic, M.elle Le Gladiator is a difficult album to love. It is a loose-loose collection of what feels a lot more as an assortment of studio ideas and experimentation than proper and working compositions. You cannot really talk about a collective identity - no cohesive whole - when listening to the three tracks here. Instead you are served three rather distinct dishes, none of which is especially palatable taken at face value. 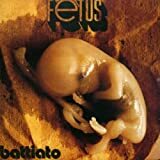 All Battiato's albums up to and including this point come with quite a distinct experimental and esoteric vibe, regardless of the differences between them, but for the first time he drifts a bit too far into a detached, coldly insular and introverted place in music. 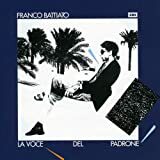 I am sure the music here has some kind of deeper meaning to Battiato himself, but it is woefully hard to connect to it on an emotional level for me as a listener. In short: music for the brain, not for the "soul". Bull[&*!#] statement, but you get the point. The first of the tracks here (Goutez et Comparez) is an erratic, flickering sound collage of what I guess is primarily various radio and television snippets, both musical and simple talk broadcasts, interspersed with small voice clips and mumblings of Battiato himself. Fusing it all together is a selection of short, eerie and slightly foreboding (often electronic) noises and melodies. Twisting and turning sharply in emotional intensity and content, the strange mix of what I imagine is an expression of apparent nostalgia, a form of social commentary and pure effect-seeking clips feels distinctly unpleasant after a while; a bit like randomly browsing through a malfunctioning human memory or delving into a fever dream. It is surprising then that about halfway through it transforms into a shimmering, textural sequence of near crystalline quality. Light and clear with amorphous synthesizer dancing about in the background. It does not last for long though, as it dies off and leaves room for a towering church organ chord blasting on for several minutes, with minor modulations and changes to it along the way, as well as some lovely colouration from background synths and sparse but poignant vocals. ...and out of the blue, just like that, Canto Fermo starts. More church organ meanderings, working its way from humble and rather dark, spacey ominous beginnings (the stereotypical horror sound comes to mind) up to more familiar Classical themes and motifs, albeit a lot less formal and structured. After a few dynamic minutes of this, warm, indistinct synths gently envelops everything in a soothing and rather beautiful ambiance. Cue another abrupt end. ...and it is time for more church organ in the last track Orient Effects. This one can be seen as the marriage of several disparate parts of the album. The dominance, grandeur and vastness of the church organ finds a way to blend with the more discreet, sequenced textures into a surprisingly successful form of ecclesiastical prog electronic/ambient. It is a refreshing mix of low-key, understated finesse and the awe-inspiring, once again working with the simple of idea of the sustained church organ chord with synths (and I would say even more organ) moving about in wondrous way underneath it. Gently abrasive, grandstanding, epic and always a bit cold and theoretical. Musically, it is an often overpowering affair, yet equally often very minimal in the same compositions. So how does it make you feel? Well, in some ways it does not. It is somehow just above and beyond that. 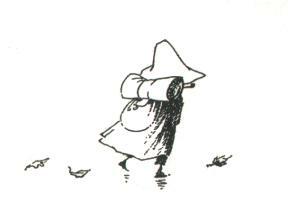 But at times it still manages to really lift you up into a sort of higher state of being, a sense of leaving the mundane behind and traveling to a clearer, brighter world of...whatever! It is not joyful, not sad, not spiritual or emotional like that. No, it is something altogether more clinical, pure and refreshingly cleansing. Strange stuff. Getting there is difficult for me, even though it is rewarding when it happens. Hard to connect, a bit difficult to digest, widely different feelings about it from listening to listening, but occasionally wonderful. Brr. On average around 2,5 stars. Rounding down this time. 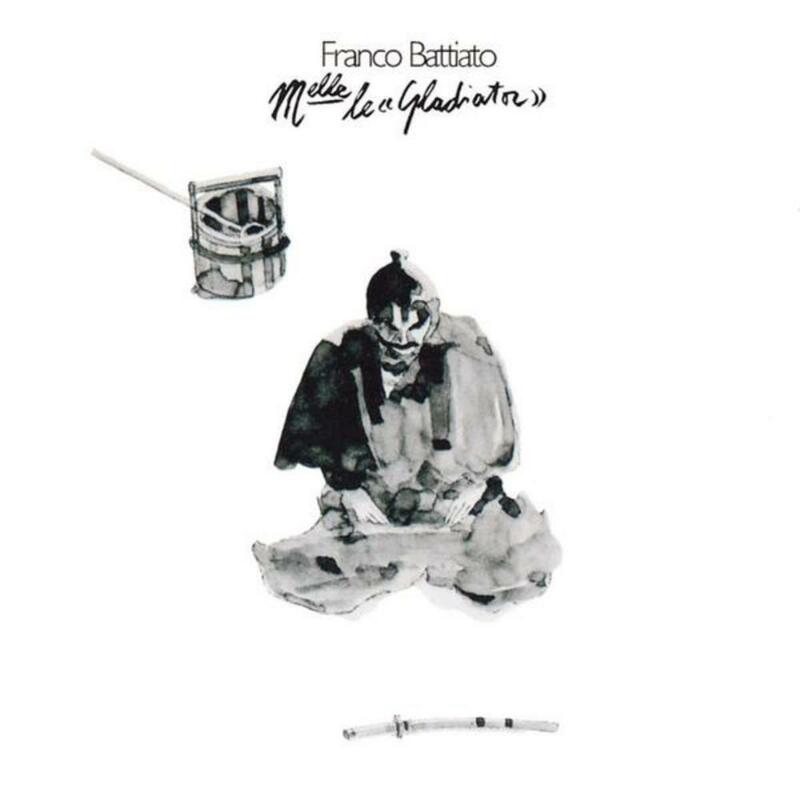 Post a review of FRANCO BATTIATO "M.elle Le "